Not just any baby. My baby! Yup I’m now mom to a little chubby whubby who at times makes me wonder what the heck I was thinking when I decided to have a baby but mostly just makes my heart melt. The arrival of a grandson meant the arrival of Hubby’s parents from the Netherlands. After a few exhausting weeks, I now know that visiting relatives who want to see and do as much as they can, like they do every other vacation, and a six-week newborn don’t really mix. The one thing I thought surely we wouldn’t be able to do is go wine tasting. As it turns out, we live right near a family-friendly wine region. Not Napa Valley but Livermore Valley. Despite living only a few miles away, Hubby and I had never explored this wine region. 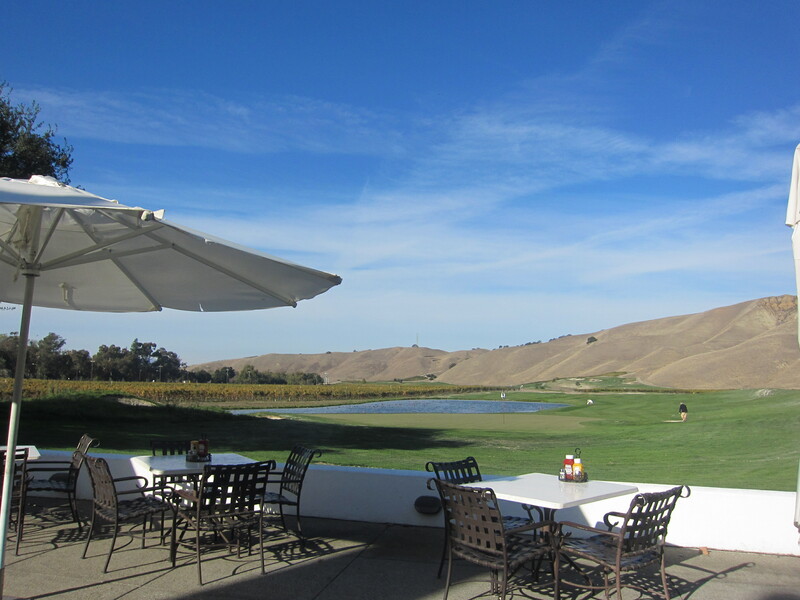 About 35 miles east of San Francisco, Livermore Valley is home to more than 40 wineries. While there are certainly a few wineries that have that Napa Valley flashy size and style, for the most part they are small, down homey and laid back. 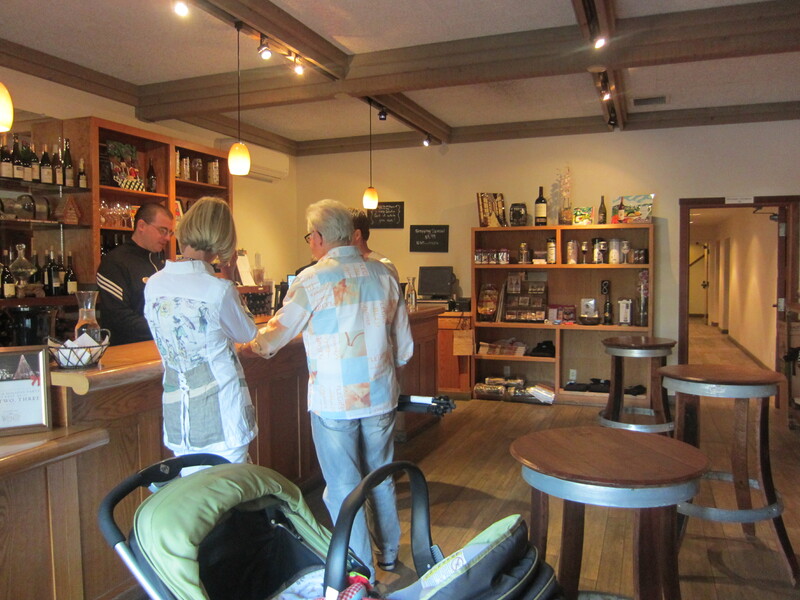 Even the flashiest wineries are generally more friendly and accessible than those in Napa. One of the more well known wineries in Livermore is Wente Vineyards. It’s famous for the concerts, featuring big name acts, that it puts on during the summer. 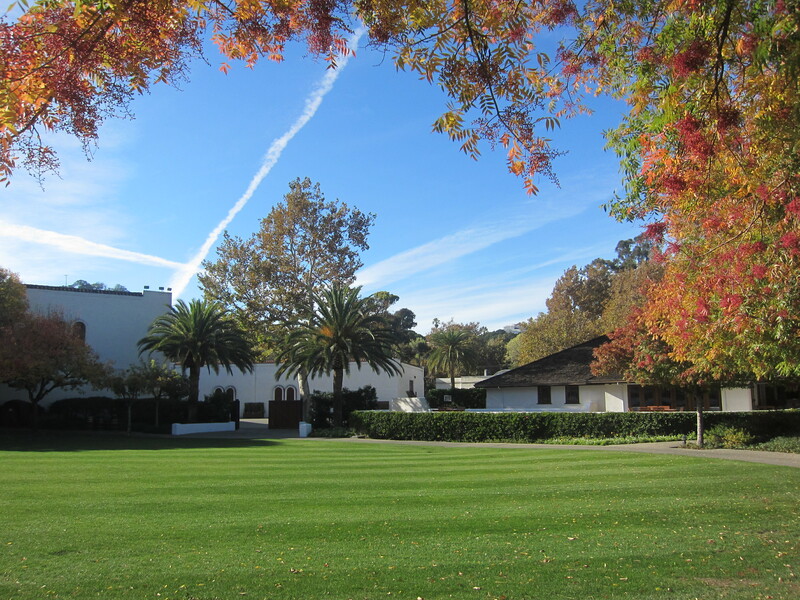 Wente is also known as California’s oldest continuous family owned winery. The founding German Mr. Wente started the winery in 1883. His descendants have continued it ever since. 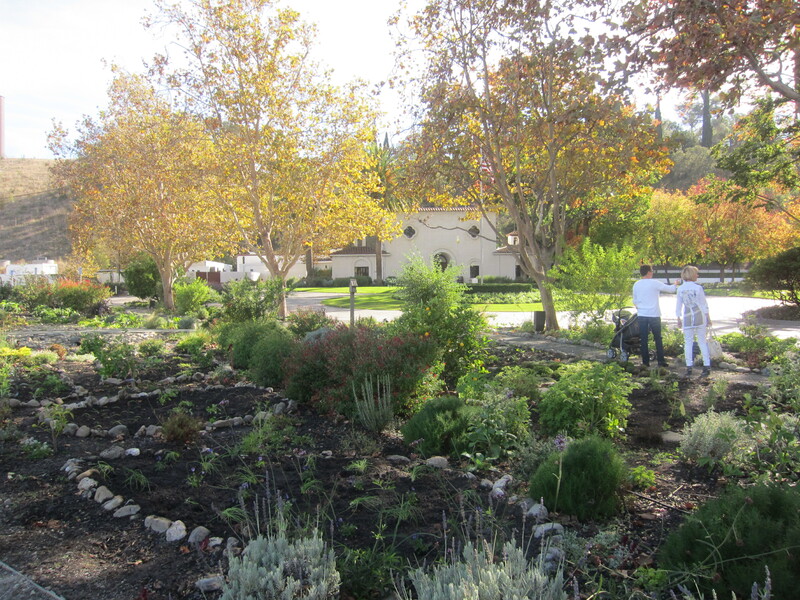 We chose to visit Wente not only because it looks spectacular but also because it has large patio and garden areas. If our little boy started crying, we knew we could just walk him around outside. Going there on a November weekday, the winery was pretty empty – perfect for a little baby! We did two tastings, one for $5 and another for $10. Grandpa was amazed at the low prices for what we got, compared to the tastings that we’ve done in Napa Valley. Nothing really jumped out at me but the wines were perfectly fine for everyday drinking. 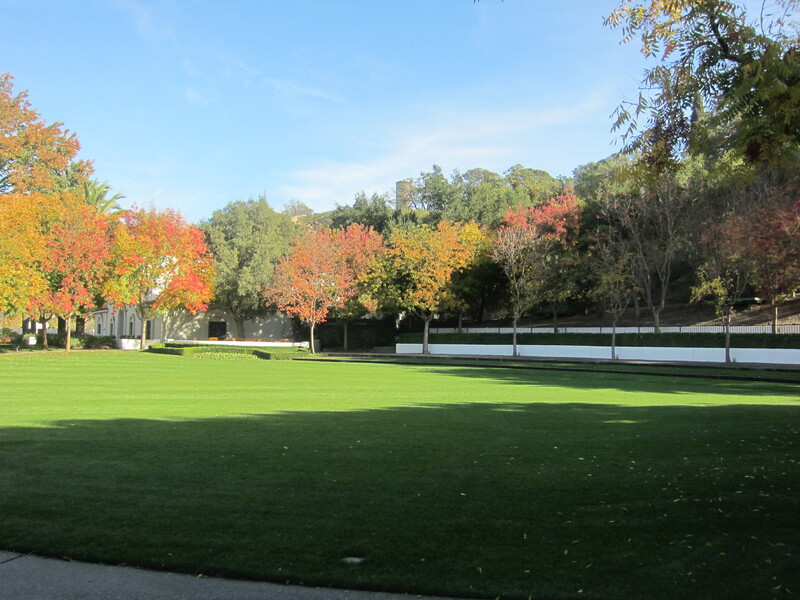 Besides its patio grounds, gardens and restaurant, Wente is also home to a large golf course. No one in our party golfs but we did love eating at the casual grill restaurant that overlooks the golf course. We were pressed for time so unfortunately we didn’t visit any other wineries. We did drive along Tesla Rd, one of the roads that is home to many of the wineries, and it seemed pleasant enough to warrant a future visit. I look forward to spending a lazy weekend day exploring more of this wine region, with my baby in tow! Thank you for visiting! We loved reading your blog post!